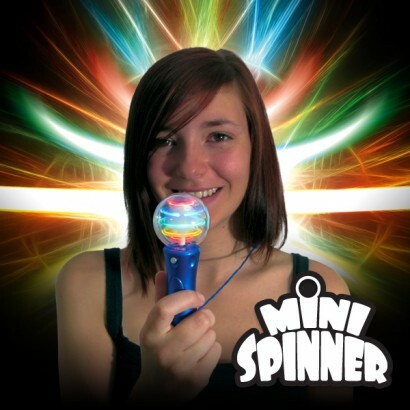 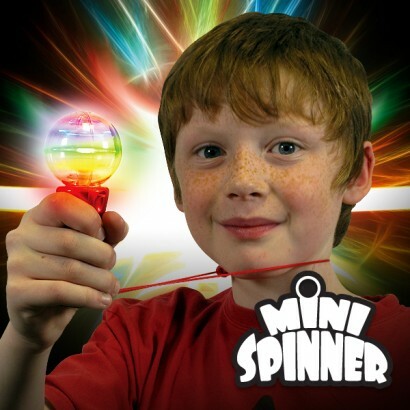 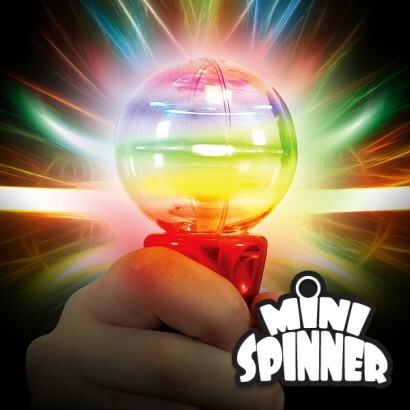 See multiple circles of colourful light spin into life inside the Mini Spinner for mesmerising effects! 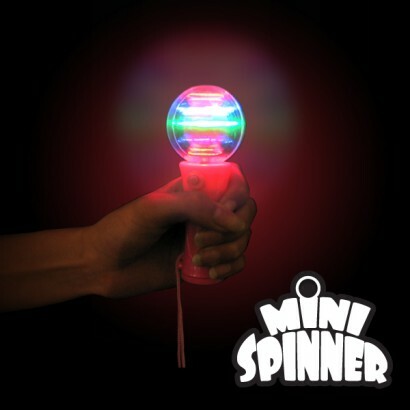 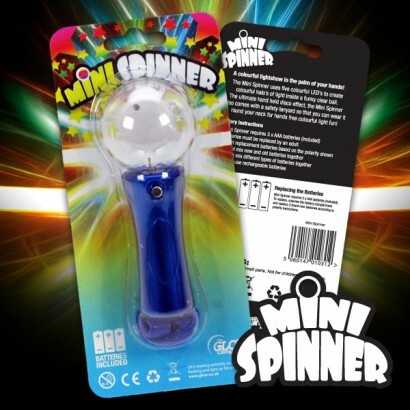 Red, blue, yellow and green LEDs, spin endlessly inside the clear plastic ball of the Mini Spinner creating enchanting circles of colourful light for playful effects. 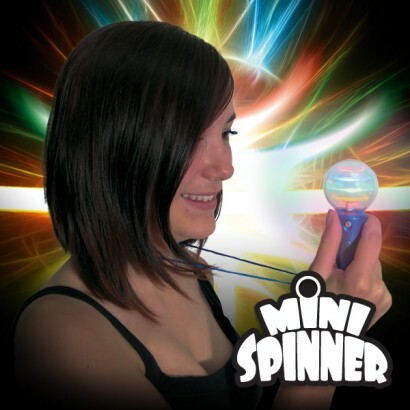 Simply press and hold to activate, you can even wear the Mini Spinner around your neck with the break away safety cord included.